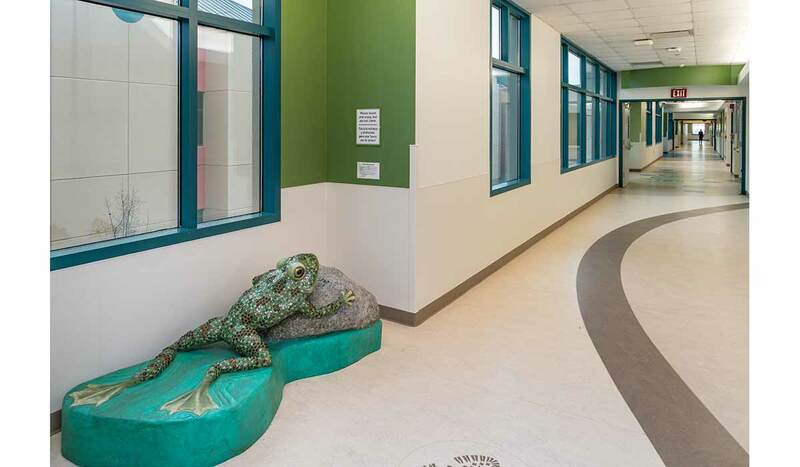 Faducci | Leopard Frog, Valley Children’s Hospital, Madera, CA. 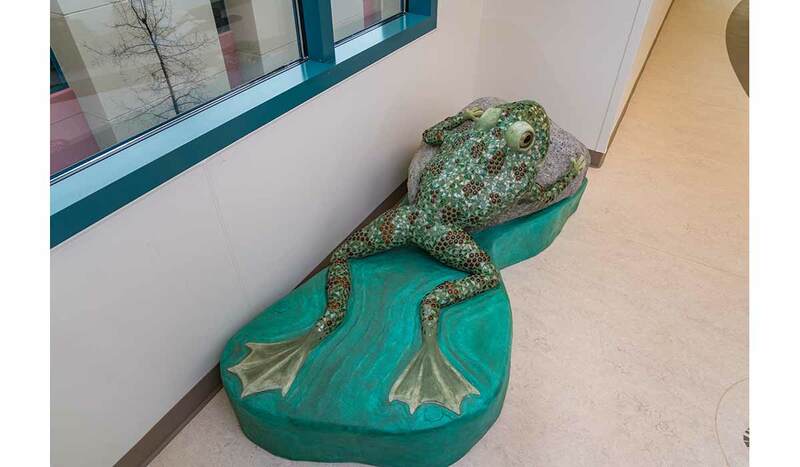 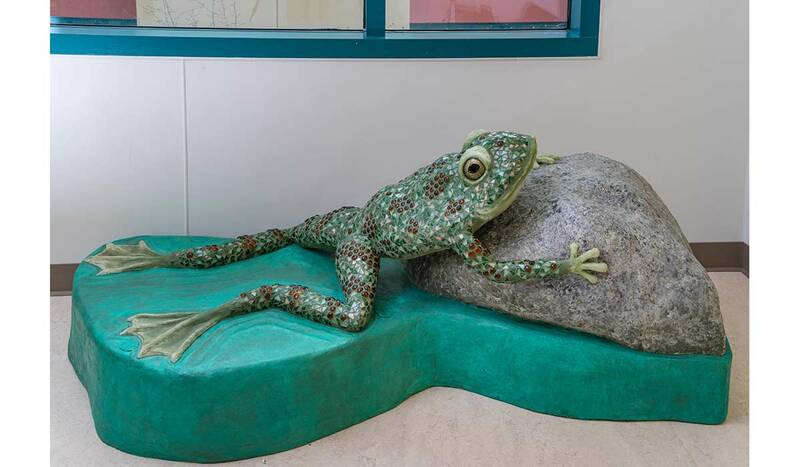 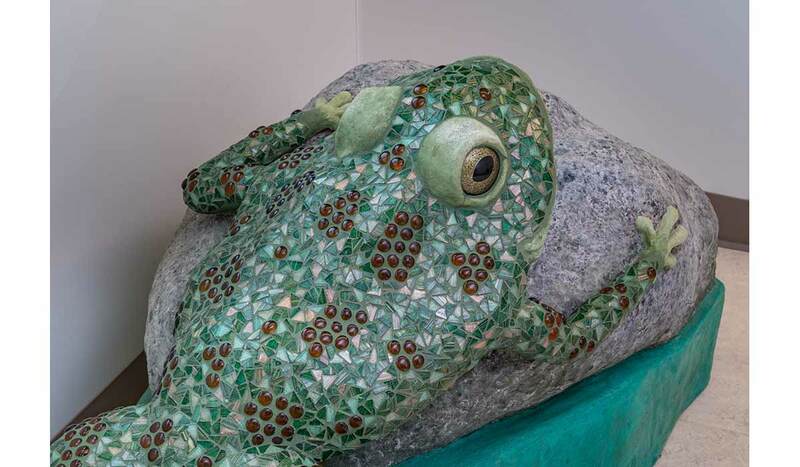 Faducci created the Leopard Frog by hand sculpting concrete and applying colorful glass mosaic. 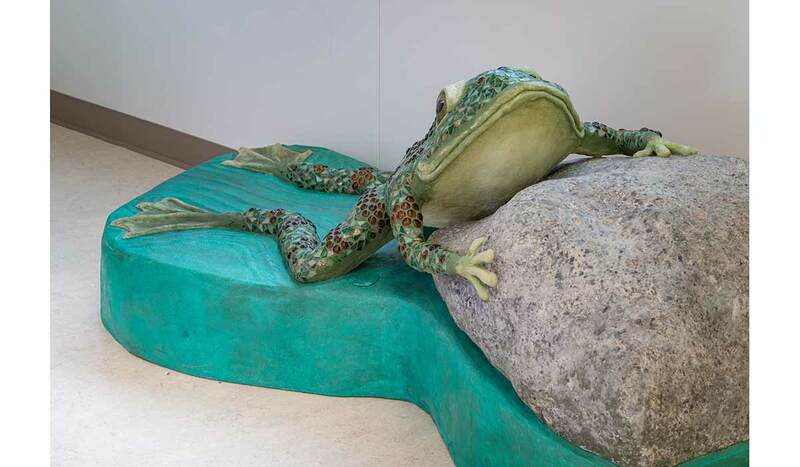 The Leopard Frog is a reminder of the delicate balance between man and nature, as well as the essential healing properties of clean water. 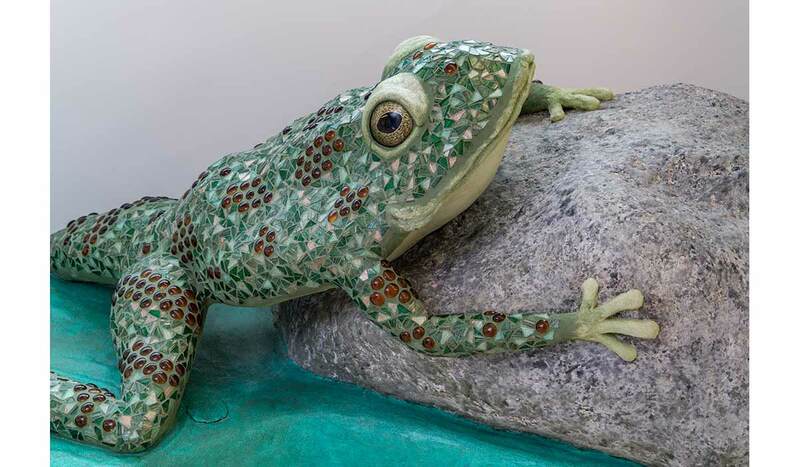 It is our hope as artists to educate children to the wonders of the natural world, inspiring a lifelong connection to wildlife and the native environment. 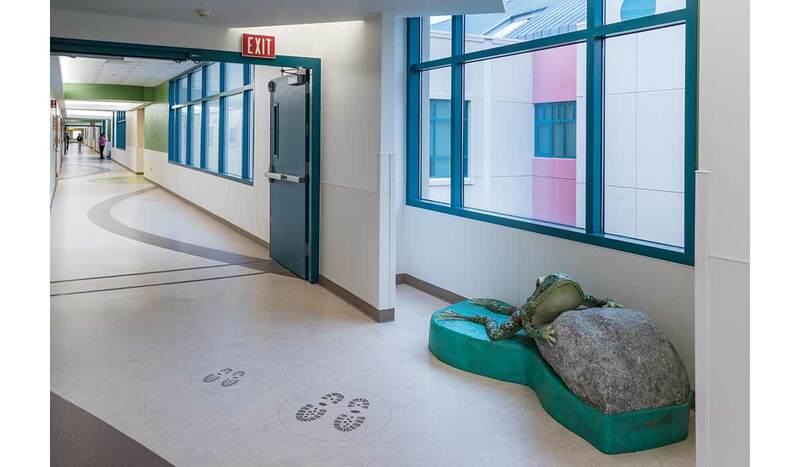 Dinosaur, Lucille Mulhall & Wall-e, Collared Lizard, Raccoon, Northwest... Cow and Dog, Valley Children’s Hospital, Madera, CA.